Join your colleagues October 22-23, 2016 in downtown Toronto for the Annual General Meeting of the Association of Veterinary Acupuncturists of Canada. Dr. Neal Sivula, DVN, PhD, FAAVA will be lecturing on acupuncture from a neurological perspective for internal medicine, musculoskeletal and neurological disorders. Acupuncture case presentations and Round Table discussions to share different approaches to common issues. We are offering registration discounts to our colleagues who present a case for the Round Table discussion. There is still space for a few cases, but case presentations are on a first-come first served basis so don’t delay. 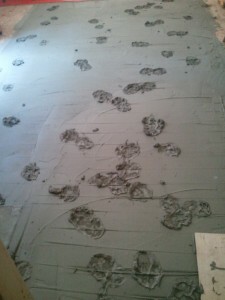 Why dogs and reno’s don’t mix!